Chinese electronics and peripheral maker Anker has launched a wireless speaker in its audio gear category named Anker Soundcore MotionQ. The company usually makes power banks and other equipment to charge a smartphone. However, even in the past, Anker has also made a number of audio gears under its Soundcore sub-brand and the newly-launched wireless speaker is the latest addition to the speaker family. The Anker Soundcore MotionQ has an IPX7 certification which makes it water resistant and it works on multiple platforms. The Soundcore MotionQ wireless speaker comes with a variety of features such as 360-degree sound output, great battery life and has a classy fabric wrapped exterior. The Anker Soundcore MotionQ is priced at Rs 5,499 and it is available on major online shopping platforms such as Flipkart and Amazon as well as offline stores. The Anker Soundcore MotionQ comes in four different colours for the users to choose from – Black, Blue, Red, and Grey. The Anker Soundcore MotionQ comes with Bluetooth connectivity using which it can be connected to smart devices like smartphones, laptops, tablets and any other music playback platform. It also has dual 8W drivers positioned for 360-degree sound output which makes it a multi-directional speaker with sound output for every direction. 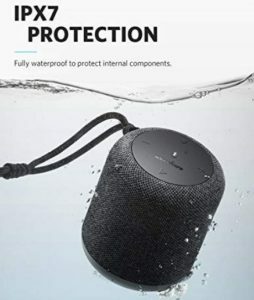 As mentioned above, the Anker Soundcore MotionQ comes with an IPX7 rating, which means that the speaker can be fully submerged in water for up to 30 minutes at a depth of up to 1 metre and not get damaged. Holding a water resistance rating makes the Anker Soundcore MotionQ a great audio equipment for outdoor activities. The Anker Soundcore MotionQ comes with a fabric-wrapped exterior which makes it a classy and premium looking device. The controls of the Anker Soundcore MotionQ sits at the top of the speaker. According to the company, on a single charge, the Anker Soundcore MotionQ can give a battery life of 10 hours. It also comes with a built-in microphone, which, on being enabled gives the user the ability to make or receive voice calls making it a hands-free device. Also, if the user has two Anker Soundcore MotionQ speakers, then he can wirelessly daisy-chain them to make them play at the same time. The Anker Soundcore MotionQ has many competitors comparing its price tag, but its closest rival is the Boat Stone 700A which comes with a lesser IPX6 rating. 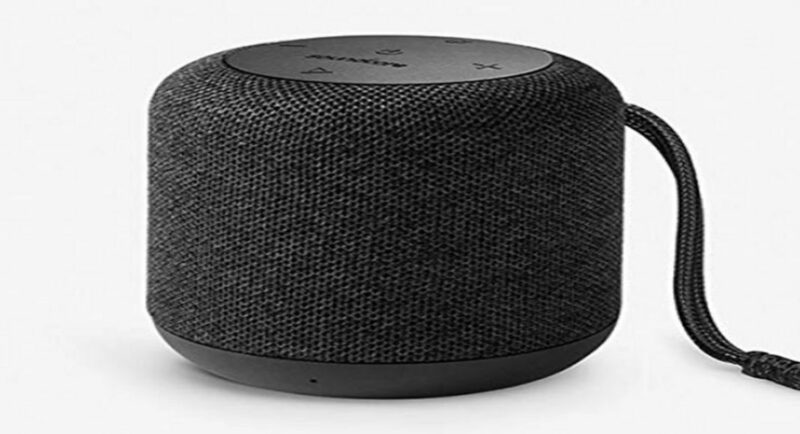 The Stone 700A also comes with Amazon’s Alexa Voice Assistant support which can be activated at a push of a button on the speaker – a feature that is not present in Anker Soundcore MotionQ. Furthermore, Anker recently launched its Soundcore Spirit and Spirit Pro wireless earphones in India. The Soundcore is priced at Rs 3,999 while the Soundcore Spirit Pro has a price tag of Rs 4,999.